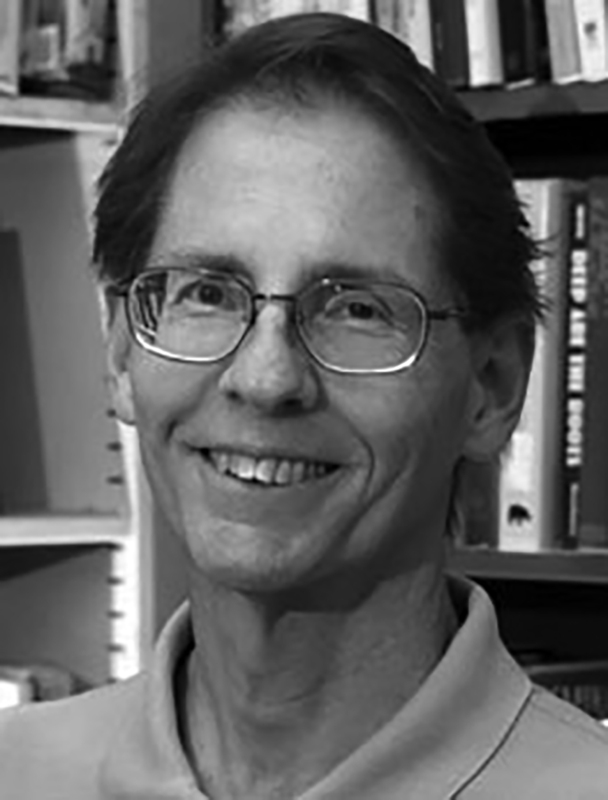 This image of Stan Schab, managing editor of Biography from 1994—2016, accompanies the announcement for the Chancellor’s Award for Outstanding Service, which he received in 2007. This quarter’s issue says farewell to retiring managing editor Stan Schab and welcomes new managing editor Anjoli Roy. From “Te Ao Hurihuri O Ngā Taonga Tuku Iho: The Evolving Worlds of Our Ancestral Treasures” in this issue. 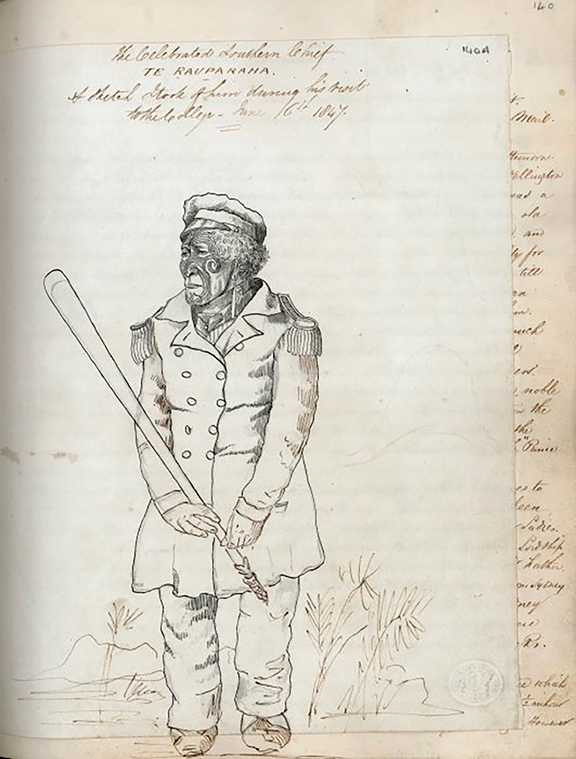 Drawings of Korokoro of Ngare Raumati by his brother Tuai (now in Birmingham University Special Collaborations CMS/ACC14 C2, and Sir George Grey Special Collections, Auckland Libraries GNZMMS 147). This quarter’s special issue examines Indigenous Conversations about Biography with guest editors Alice Te Punga Somerville, Daniel Heath Justice, and Noelani Arista. From “Kei Wareware”: Remembering Te Rauparaha in this issue. 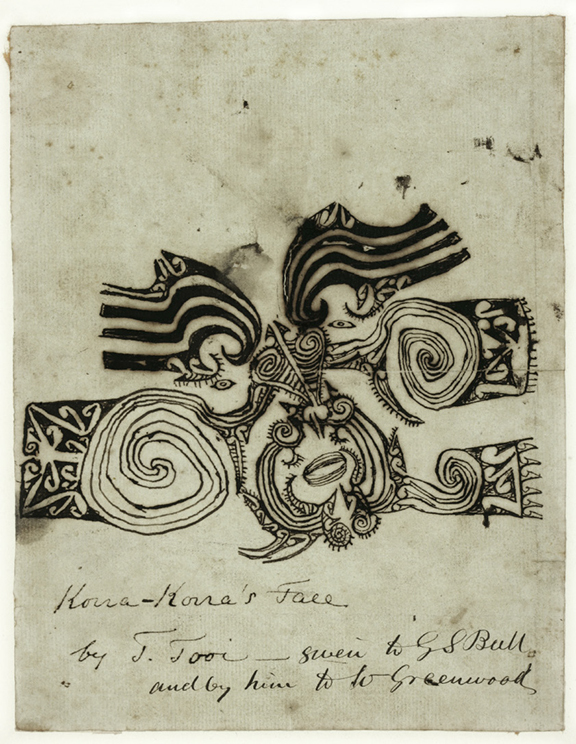 William Bambridge, Sketch of Te Rauparaha. Diary. Ref: QMS-0122-140A. Alexander Turnbull Library, Wellington, New Zealand.